Do you have something to say? Check out these forum subjects. If there is one subject you are really interested in, you can choose to keep up with just that forum topic. 1. No personal attacks or name calling. 4. 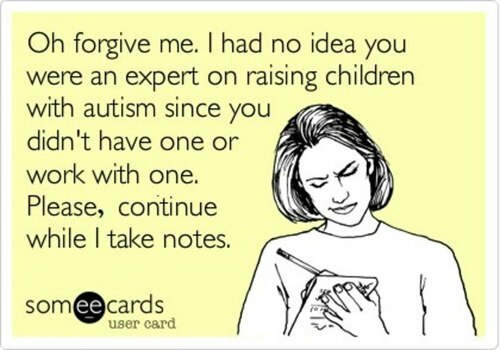 No promotion of abuse or endangerment of anyone on the autism spectrum. 5. No false information about someone else. 7. No promotion of medical experimentation on someone with autism outside of a controlled medical trial. 9. Promotion of elimination diets to treat autism, avoiding vaccination, chelation, hyperbaric oxygen chambers, secretin, stem cell injections, laxatives used without the advice of a doctor, medical procedures illegal in the United States, and anything else deemed by the website moderator as too controversial for this website or having the potential to harm someone if not supervised by a licensed medical doctor. 10, Promotion of therapies costing thousands of dollars that are not covered by insurance and not supervised by a medical doctor and approved by the FDA, CDC, or another government agency. 1. Post your own thoughts, opinions, and experiences, if it's kept clean and respectful. 2. Post info about your own website, if it fits in, once monthly. 3. Include a link to your blog or website every time you post, as long as you are adding to the discussion and not posting just to advertise your website. 4. Be intellectual and give advice. https://www.facebook.com/groups/AustinSpecialNeeds/ --Facebook group for families with special needs in North Austin area. Free! Fun! All special needs. Go to http://www.austinspecialneeds.com/ to register and receive Evites to socials and play dates in the Austin area. 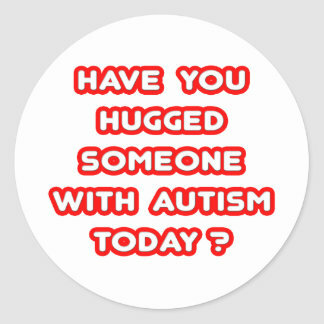 https://groups.yahoo.com/neo/groups/AutismSocietyCentralTexas/info --Autism Society of Central Texas Yahoo! group. http://www.austinautismsociety.org/ --website for Autism Society of Central Texas. http://www.wrongplanet.net/ --If you have high functioning autism/Asperger's, and you like to chat on the computer, this group is for you. http://www.wrongplanet.net/forum19.html --Wrong Planet Parent's Discussion Forum; world-wide online discussion forum for parents of children on the spectrum.